Thanks to advances in technology, the ‘smart’ office building is an idea whose time has come, bringing with it tangible benefits for employers and employees alike. But what do people actually know about smart offices, what features would they like to see, and when do they expect to be working in one? To find out, we ran a survey of 1,063 office workers in London (of whom 291 are fully involved in making decisions about the location of their organisation) to explore the appetite for, and perceptions of, smart offices (as defined and analysed in our new report). 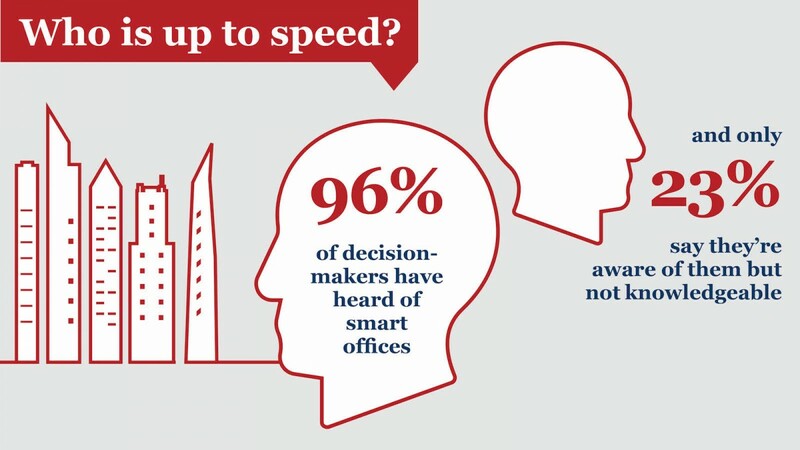 The concept is certainly being discussed at the top level of organisations: 96% of decision-makers have heard of smart offices, and only 23% say they’re ‘aware but not knowledgeable’. It’s a different story for less senior workers: only 11% are ‘knowledgeable’, although a further 47% have heard of smart offices, even if they don’t know much about them. What’s more, businesses largely appear to be convinced that a smart office is something they should be planning for: 90% of decision-makers see a business reason for working in one and 87% say they’ll require smart technology in their office the next time they move. This high level of confidence in smart offices seems to be based on a perception that they will trigger benefits for an organisation. If their preferred smart features were in place, decision-makers think the chief benefit of smart offices would be seen in productivity and wellbeing, bringing an expected 51% increase in each, on average. Other ROI measures encompassing appeal to new talent and employee loyalty aren’t far behind, with average perceived increases of 48% and 45% respectively. 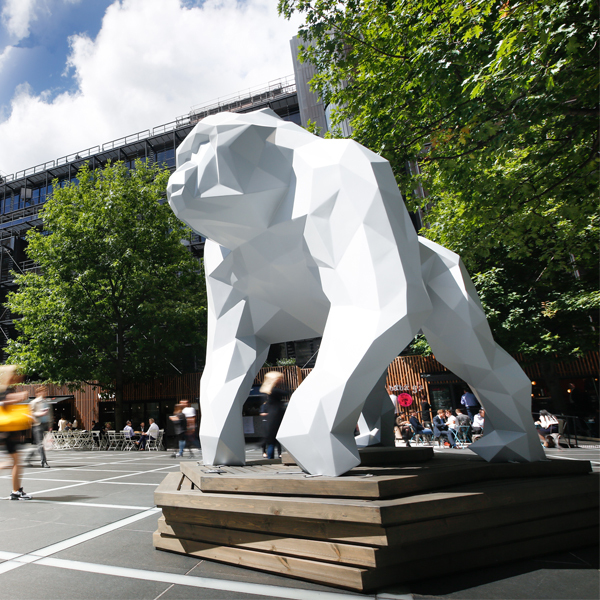 So when are businesses likely to move into (or retrofit) a smart office? Asked when they would like to work in a smart office, workers said, on average, ‘within two years’ – but think it won’t actually happen for another four. 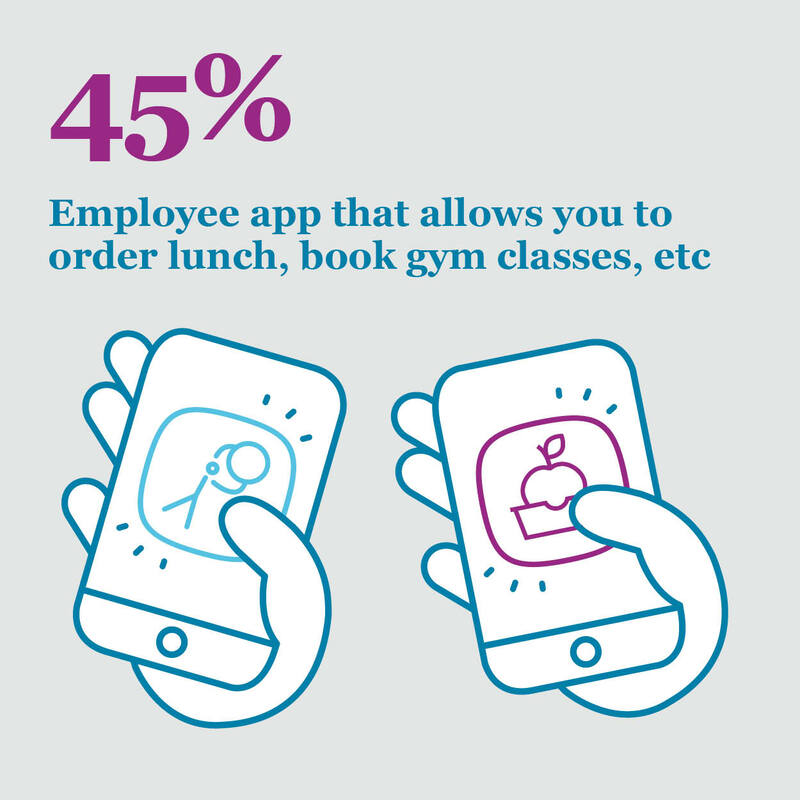 Only 35% of employees think their employer is prioritising smart office technology. One factor that might be holding them back is, perhaps not surprisingly, cost; 58% of decision-makers say this is an obstacle to implementing smart elements in an office. Beyond that, generational differences may drive the decision-making process. Older decision-makers feel that the building (45%) and culture of the business (36%) might not be ready, while among their younger counterparts, 36% cite a lack of support for the concept from management. Other obstacles highlighted were around privacy and security challenges, but here again there are significant differences between the decision-maker generations. Among those aged 50 or over, only 25% were concerned about privacy and vulnerability to hacking, compared to figures of 38% overall for privacy and 34% for hacking. As often happens with new technology, the survey results suggest that the main impetus for smart offices may well come from a younger generation that is more accustomed to, and indeed expects, the changes to working practices that smart technology can bring.